Every time we share an idea on how to play with water beads on Instagram or Twitter I almost instantly get questions. 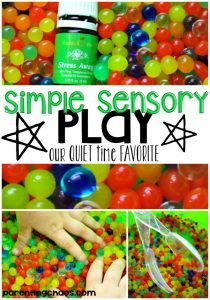 Since this is one of our favorite sensory materials, I figured it was about time that I put together a post. How do you dispose of them? And lastly, how do you use them? Water beads are actually designed to be used for floral arrangments. On top of giving an additional decorative element to a vase of flowers, they also control water absorption. 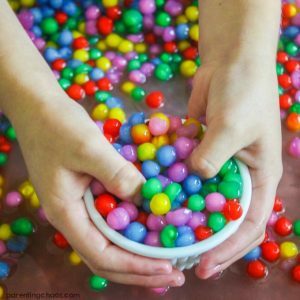 Although water beads are non-toxic and environmentally safe, they can be a choking hazard for younger kids or children who still mouth items. 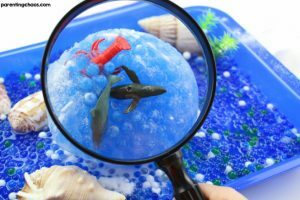 However, there are alternative water beads that are taste-safe. 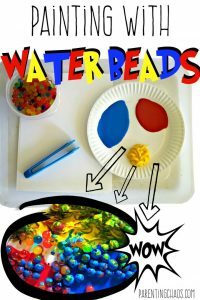 What Do Water Beads Look Like? Water beads show up in a package dehydrated – they are very tiny! When submerged in water they will eventually expand up to the size of a marble. 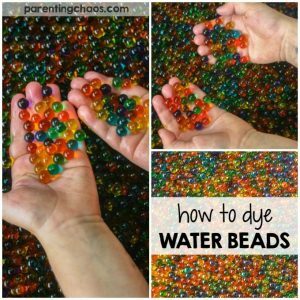 Water beads come in all sorts of colors, although our favorite is clear because when in water they are much harder to find. 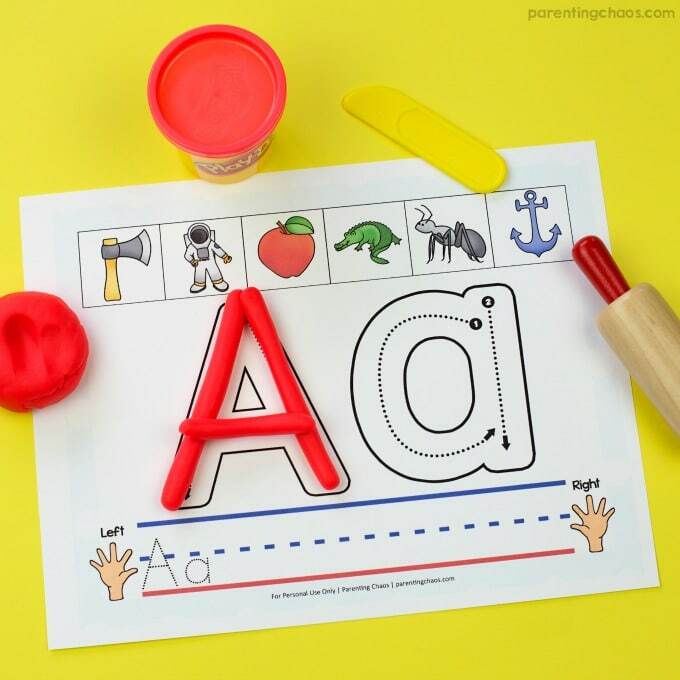 You can even color your own water beads! 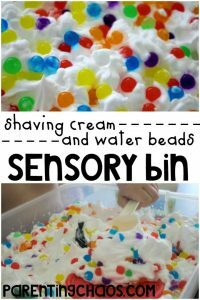 What Do Water Beads Feel Like? 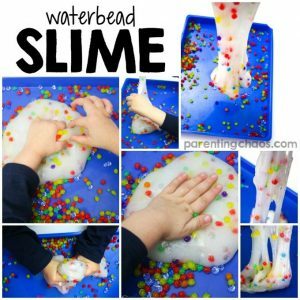 When expanded, water beads are slippery squishy marbles. 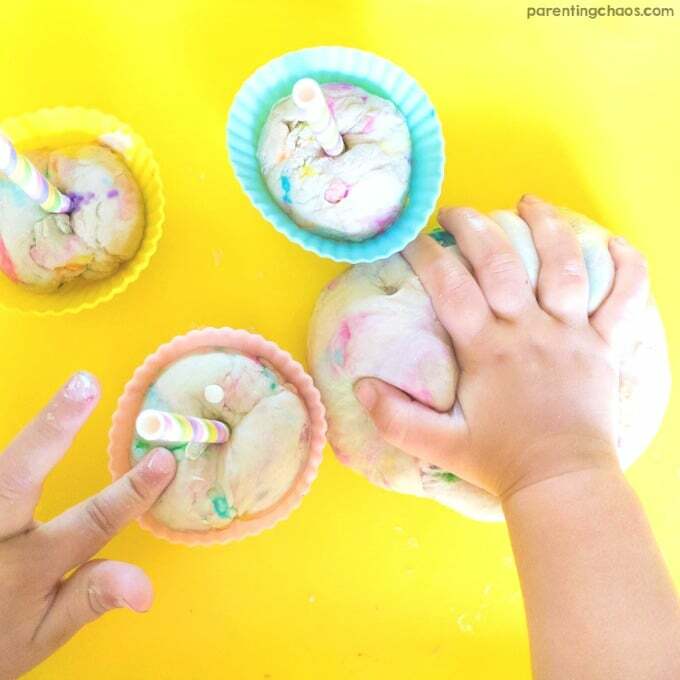 When dropped back into a bucket or on the floor they bounce! 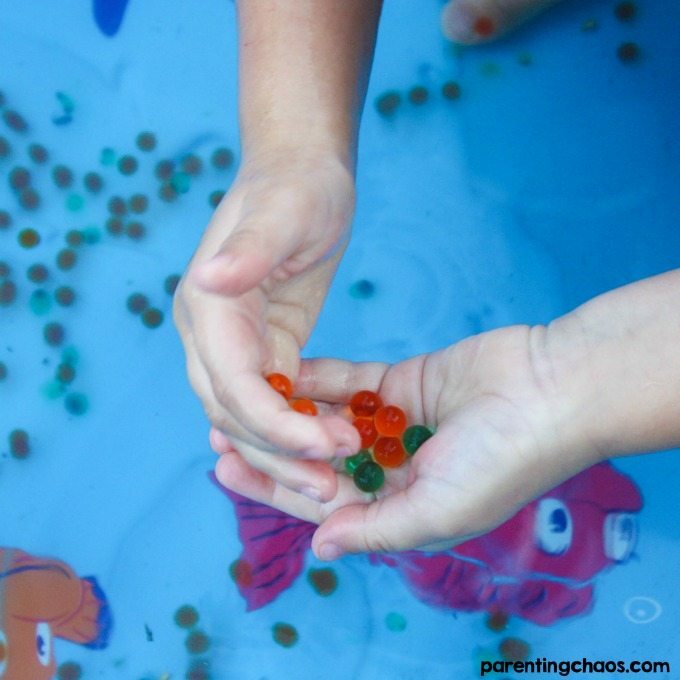 Water beads are extremely calming to run your fingers through, it’s like adding a texture to water. 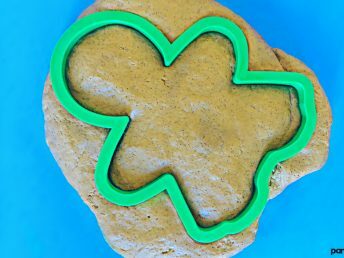 Water beads will not dissolve in water and are not sticky (unless you try the edible water beads – those do get sticky as they dry). 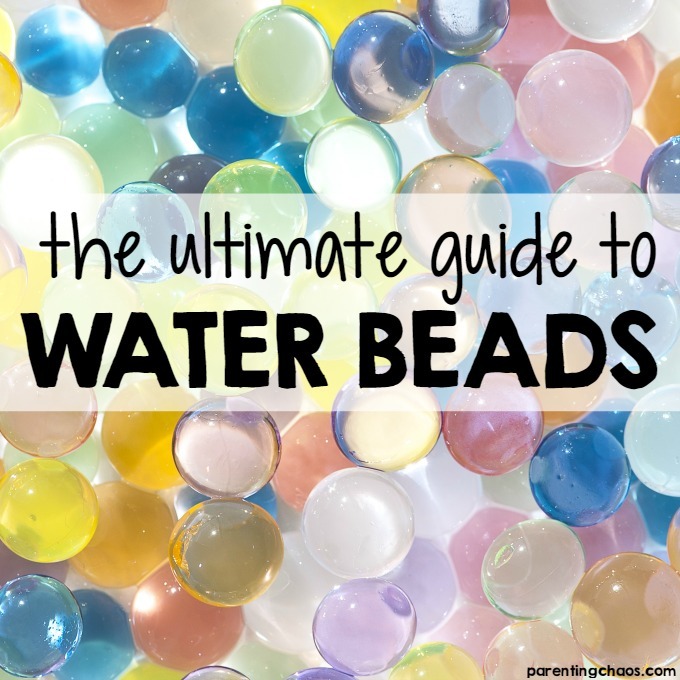 Where Do You Purchase Water Beads? Typically I order ours online through Amazon.com because with our Prime Membership they are at our door within 2 days. 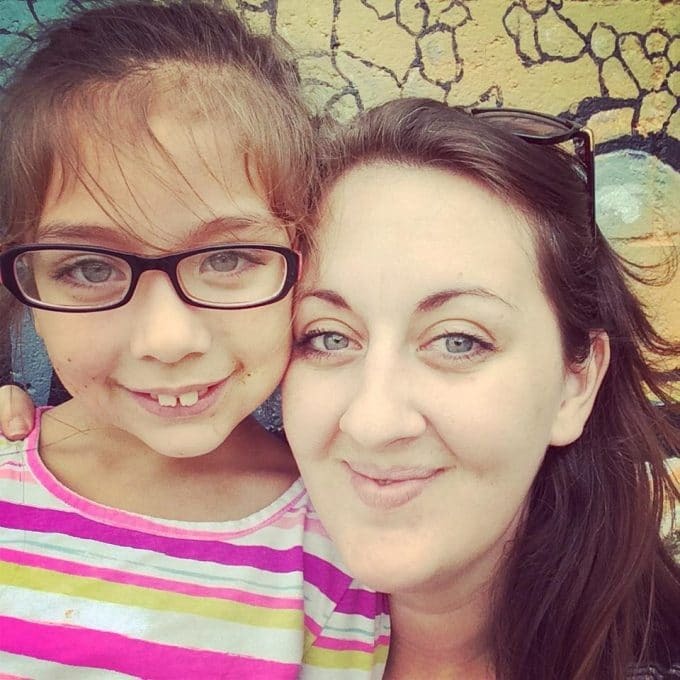 This is much easier for me than packing up the kids and running around to various craft stores to find them. 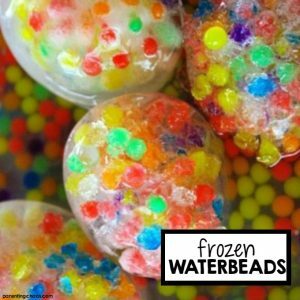 You can also find water beads at any store that sells floral arrangement items such as crafting stores or Walmart. 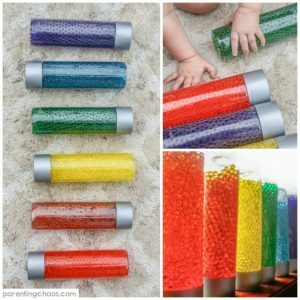 How Do You Store Water Beads? Usually, I store our water beads in clear bottles such as a Voss Bottle. Water beads make the best discovery bottles! 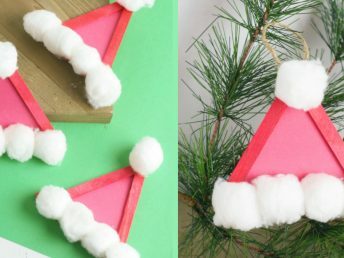 You can also store them in a ziplock bag or in a Rubbermaid. Another option is to lay them out on a tray until they dehydrate and then put them back into a bag. 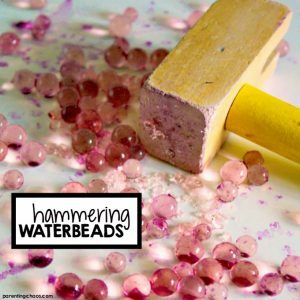 The only thing to be aware of when storing your water beads is that they can mold so make sure to check them before play if you are storing them while wet. How Do You Dispose of Water Beads? 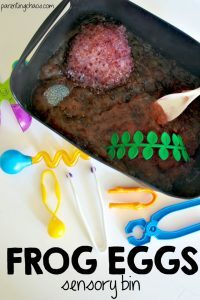 When we are done playing with water beads and aren’t going to store them, I crumble them up and add them to the soil of our potted plants. 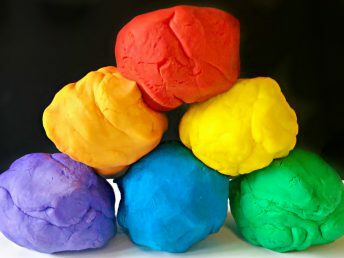 The polymer that is used in water beads is also used in a lot of bagged potting soil. You can also throw them into a garbage bag. Do not throw water beads down a drain or into a garbage disposal – they will very quickly clog any pipes and/or burn out the motor of a garbage disposal. 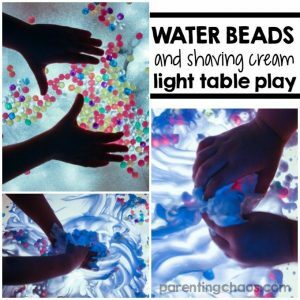 Ways to Play with Waterbeads! 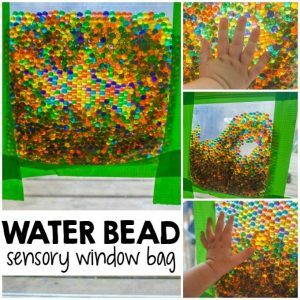 Stress Away Water Bead Play!